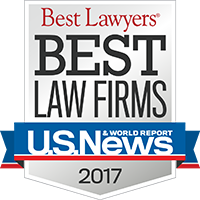 Colorado Lawyers Offering Creative Alternative Dispute Resolution Services for Workplace Disputes and General Mediation and Arbitration. In order to give yourself and your clients the best chance of success in mediation, carefully consider the following issues in advance. (1) Who will be the mediator, (2) Who should attend the mediation session(s), (3) What information do you need in advance of the sessions, and (4) what information should you provide to the mediator and to opposing counsel. (1) Wage and hour class actions bring unique issues to the table. Your mediator should have a proven track record as a neutral with substantial experience in complex litigation, and in handling FLSA cases. Both sides must have confidence that the person chosen as the mediator understands the issues involved, the role of class representative, and the certification process. In addition to asking for references from other attorneys in the area, it is reasonable to interview the proposed mediators to get an understanding of their backgrounds and styles in these types of cases. (2) Discuss with opposing counsel who will attend the mediation. On the employer’s side, key decision-makers should be present, including insurance representatives if applicable. Named plaintiffs may not be necessary if they are available by phone, although the employer may feel their presence is important. Many class cases require multiple sessions to resolve. It is not uncommon for named plaintiffs to attend some but not all of the sessions, depending on how the issues are divided. This should be discussed with opposing counsel and the mediator in advance of the first mediation session. (3) All parties need to have access to the same set of information in advance of the mediation so that they have time to analyze it. Information should be shared with opposing counsel related to the underlying merits of the claims, the size of the class (and whether there are sub-classes), and damages. It is helpful if counsel for both sides can work together to develop the data and share information well in advance of the mediation. If necessary, seek assistance from the mediator in obtaining information from the other side. (4) Provide the mediator with enough information to address the nature of the claims and your key evidence, including affidavits submitted with class certification papers if any. Data that supports each damage calculation is extremely helpful along with a description of what constitutes the key factual disputes between the parties. Your mediator will want to discuss ideas for designing the mediation to maximize efficiency. Separate sessions may make sense to reach agreements on issues such as the design of the mediation process, the data, the scope of the class, and different approaches for calculating damages. You and your clients should fully participate in designing a mediation process that will maximize your chances of reaching resolution. The more work you do to address the issues outlined above in advance of the mediation, the higher is the likelihood you will be successful. © 2019 by Littleton Alternative Dispute Resolution | All rights reserved.